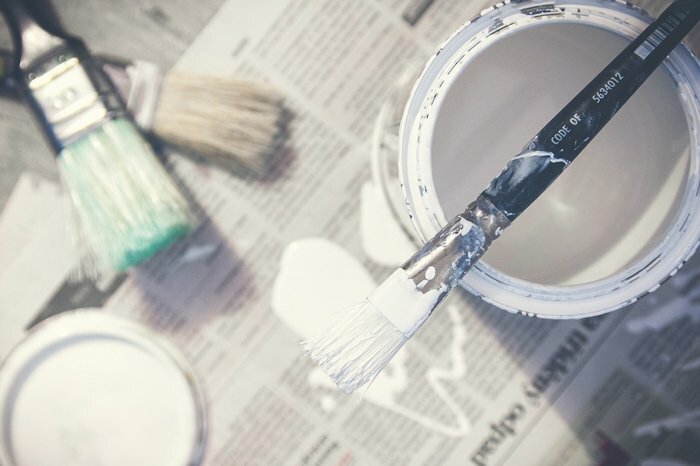 Paint will peel when applied to damp or moist surfaces. Exposure to heat and moisture such as in the bathrooms, kitchens, laundry rooms can create a moist environment where paint can bubble, peel or blister. If painting any of these high in moisture/humidity level rooms, make sure you use the appropriate paint which is specifically designed for these areas. 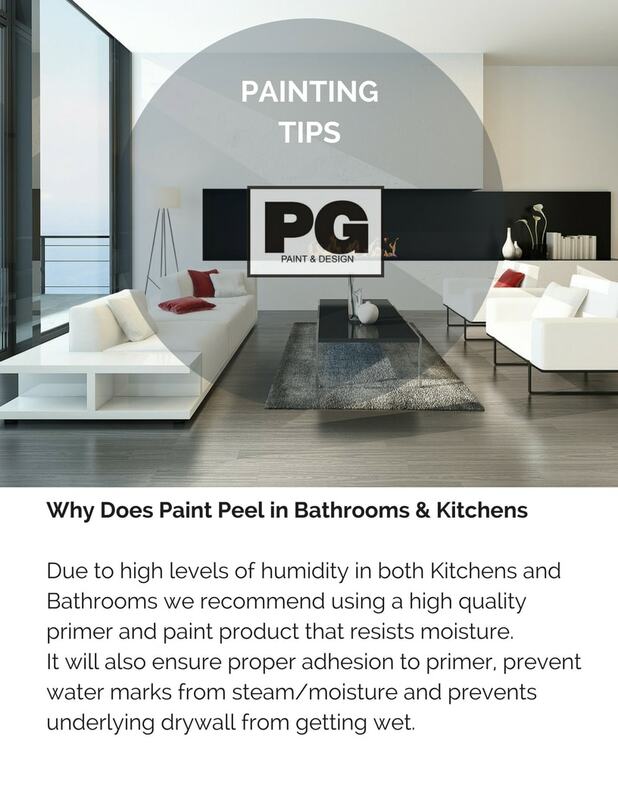 Blistering heat from the sun and humidity in the summer along with heavy rainfall is also a culprit to paint not adhering properly causing it to peel. 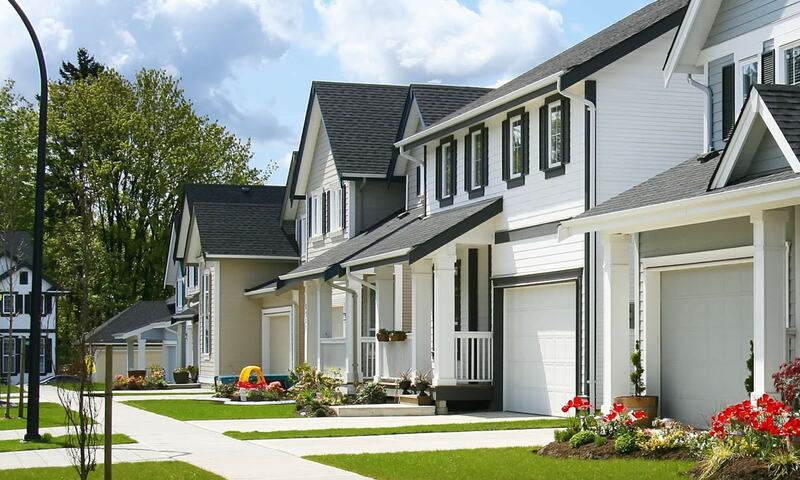 If you are painting the exterior make sure to leave at least 2 to 3 days after a rainfall for all the wood to dry completely before painting. As well, it is not recommended to paint in extreme heat waves with high humidex values. Not only is it unsafe for the painter but again the paint will not adhere properly and will create problems later on. 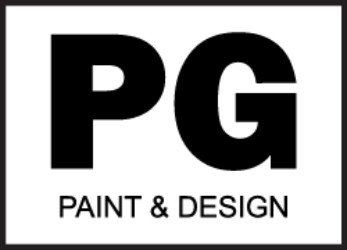 For more information and tips on interior painting visit our blog articles, to find how to tips, advice and tips from painters.